Another Halloween is coming up. What’s your plan for this Halloween? A party or a big dinner? You need some novelty. Halloween promotion and giveaway will bring you some surprise gifts. WonderFox Software (https://www.videoconverterfactory.com/) so far has successfully hosted giveaway activities on many occasions. The aim of the giveaways is not only to promote the products in low cost but high quality, more importantly, to really keep benefiting users. This October, to welcome the big festival of Halloween, WonderFox also had the special Halloween giveaway products for users. WonderFox 2014 Halloween Giveaway falls into three stages. During this giveaway, anyone who visits the active page (https://www.videoconverterfactory.com/promotion.html) can get a free license code for each flagship product available at that stage. 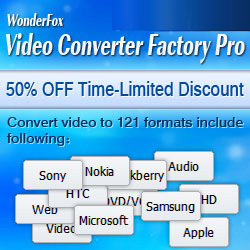 At stage 1, all participants will be provided with a license code for WonderFox HD Video Converter Factory Pro. With the license, you can activate the software and enjoy all the features of it. At stage 2, the Halloween gift goes to WonderFox DVD Ripper Pro. If you miss the preceding two stages, not to worry, you will be left the door open to continue. During October 28th to November 5th, we’ve prepared WonderFox DVD Video Converter, the best seller of WonderFox, especially for you. The last is the best. This is specially designed inspired by the tradition “Trick or treat”. On the page of the giveaway, you will notice the “Trick or Treat” button. Press it, you’ll instantaneously win a mysterious surprise. What’s that? It’s a secret. Just discover it yourself. Surprise is earned. To be sure, WonderFox Halloween Giveaway 2014 is worth looking forward to. Join us, the surprises are waiting for your exploration. WonderFox Software, established in 2009, is a software company specialized in multimedia software solutions including DVD, video, audio converting and editing programs. Stable in quality, reasonable in price, high in prestige, WonderFox has won the high praise of about 3,000,000 clients all around the world, and is now arousing more and more interest. 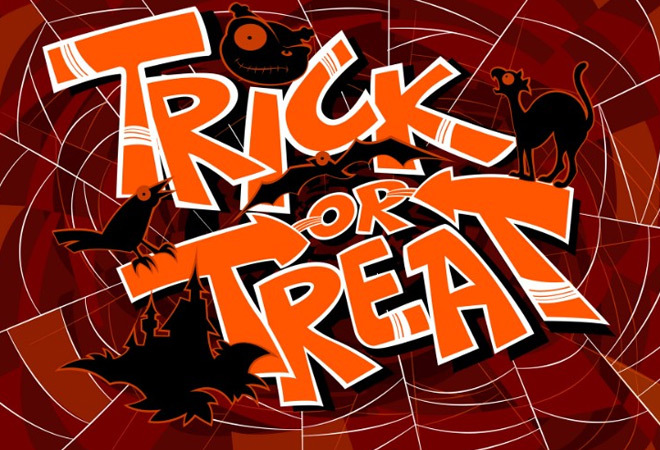 To learn more about WonderFox Halloween Trick or Treat Giveaway, please check our active page https://www.videoconverterfactory.com/promotion.html.